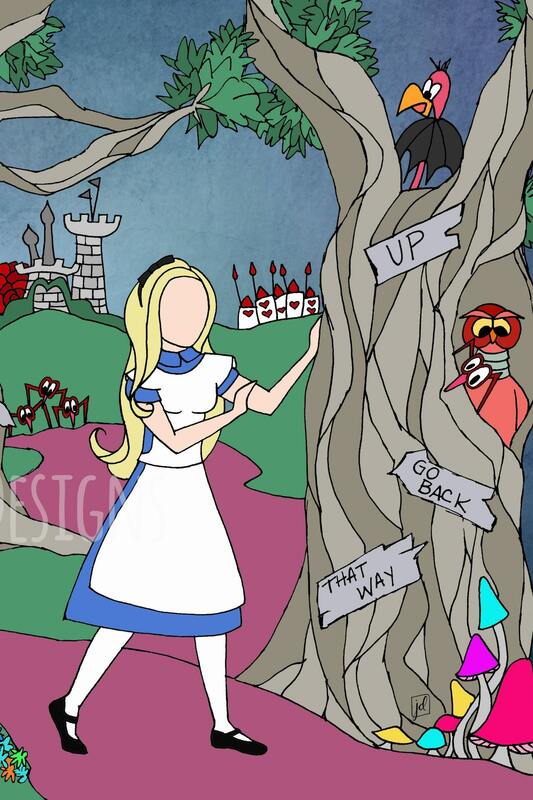 Original artwork inspired by Alice in Wonderland! 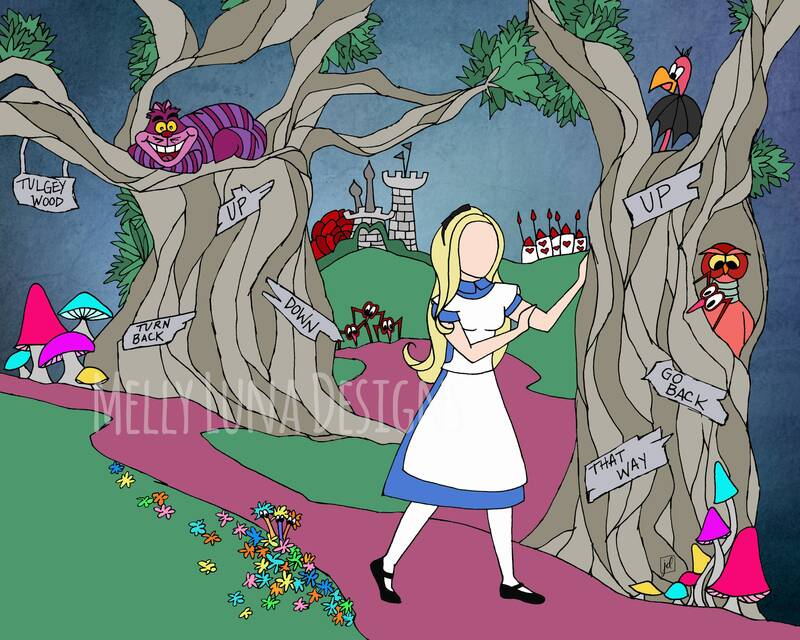 Alice navigates the Tulgey Wood full of fantastic creatures, flora and fauna...especially the Cheshire Cat! The original art was created as a pencil and paper sketch. The color and background applications are digital. The abstract background was sourced from a fellow Etsy artist of DigiTreats https://www.etsy.com/shop/DigiTreats.